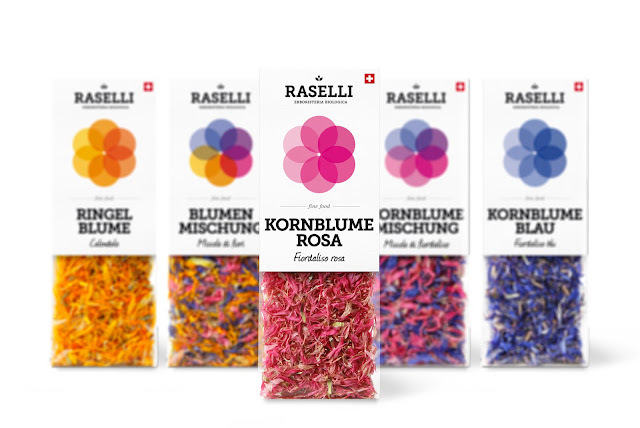 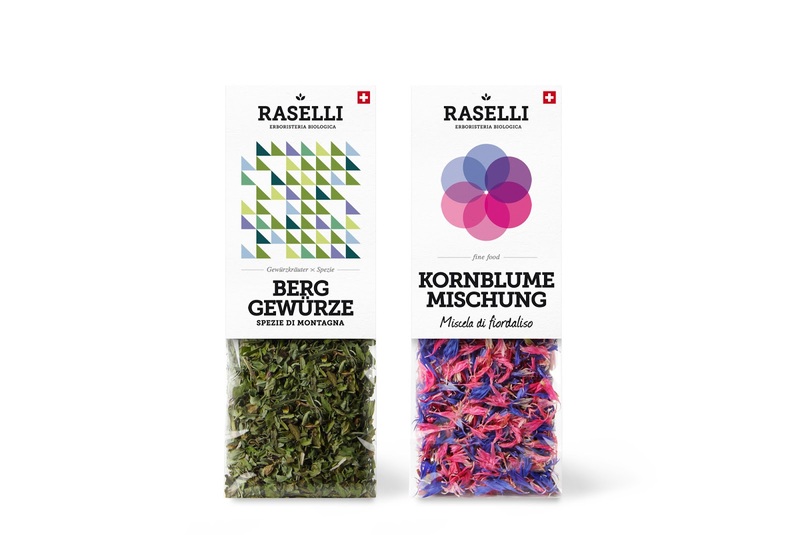 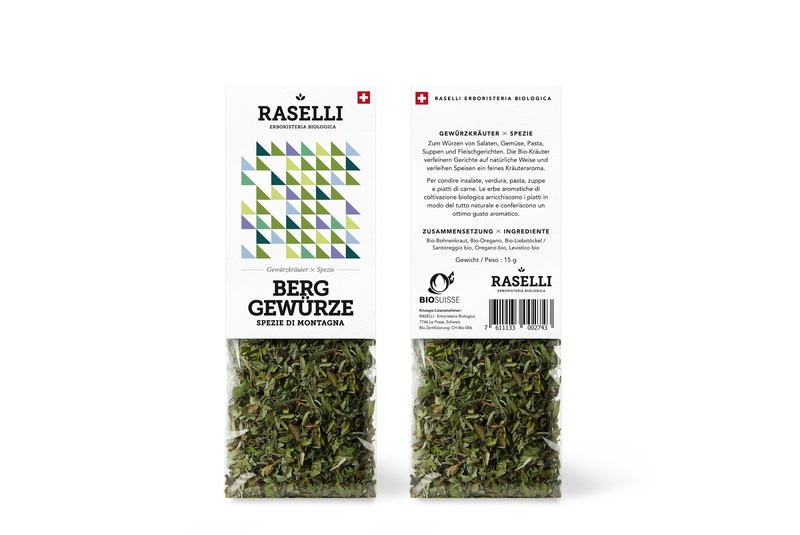 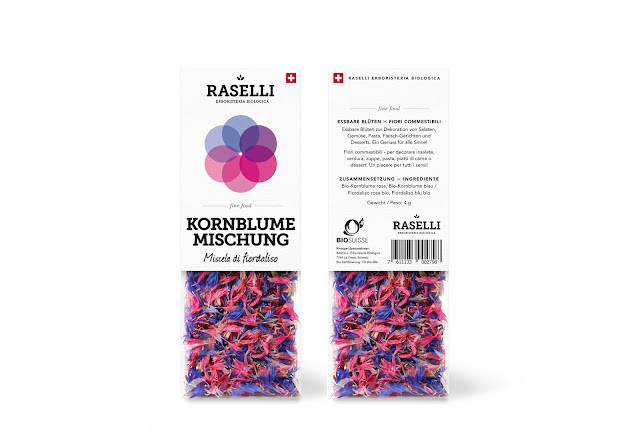 Raselli Erboristeria Biologica has recently enriched its organic product line with a new Herbs & Blossoms series. Five herbal spices and six colorful blossom selections add taste and beauty to any dish. The organic herbs and flowers grow in the sunny valleys of the Swiss Alps and are air-dried immediately after harvest to preserve the rich colors and flavors. 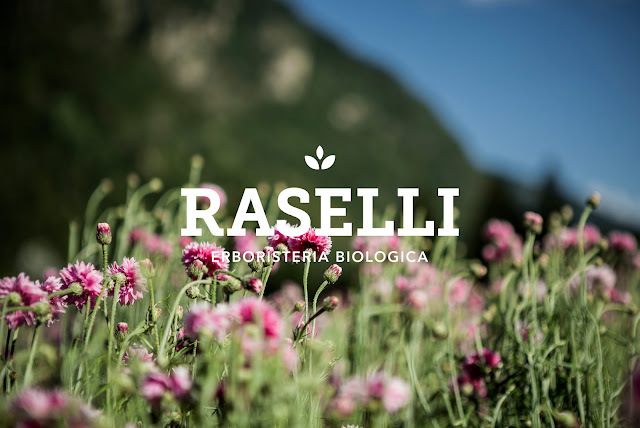 The transparent packaging shows the naturalness and quality of the organic products from Valposchiavo. The graphical details on the labels symbolize flowers and fields of herbs in a modern way. 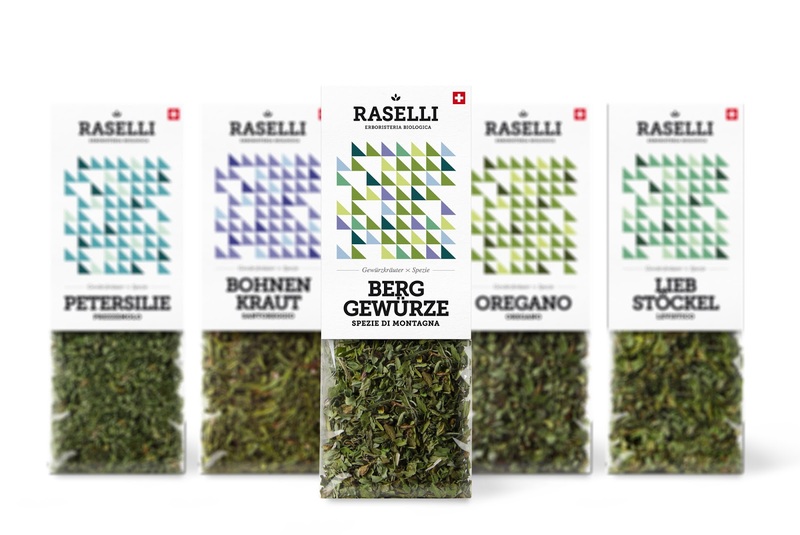 The design was created by Plasmadesign Studio, a multidisciplinary design agency based in Zurich.